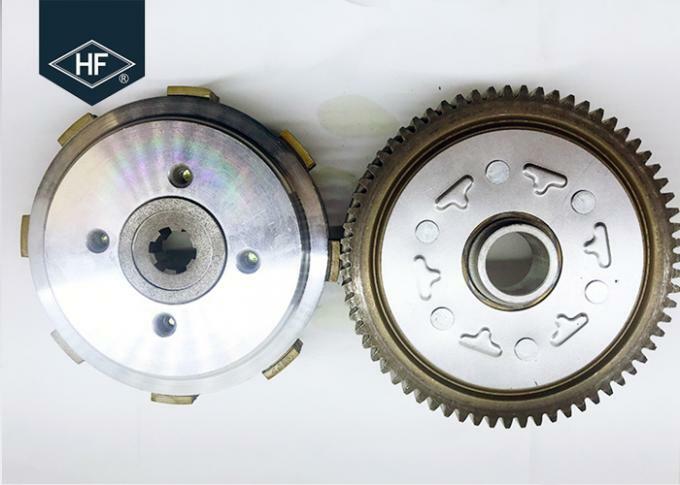 This Clutch is used for CD100/C100/V100 Clutch replacement ,With HF brand clutch plate, Best steel plate. All our clutch assembly use HF brand ,which the top brand in china,clutch plate with stable quality and high friction rates and durable life, The steel plate with OEM quality steel plate with excellent flatness surface, The clutch Hub and Wheel use the Rigidly Big factory Aluminium , Die casting with Automatic New machine to make sure the precises. THe screws fixed torque wrench to make sure the Clutch contact with perfect condition.Our clutch Assembly passed unique testing of it's broken pressure and life cycle testing. 2.> No noise and riding smoothly. 3.> No jumping on starting.and clutch seperation clear. 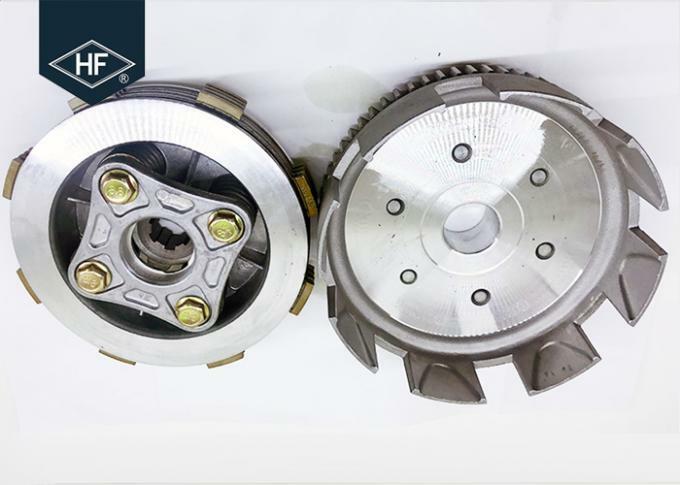 We are flexable for selling ,or only clutch plate, or only steel plate, or Clutch plate assy ,or only out house or the full clutch assembly according to our customer requirements. 1. The clutch is wet clutch it must working in the Oil. 3. Pls replace it with the same clutch style. 4. HF Brand clutch disc suggested. Ridigly Color Box or According to Stardard Export Packing. 1. What does the clutch do on the motorcycle? Re:Parts of a Motorcycle.It delivery the power from engine to the sprocket . 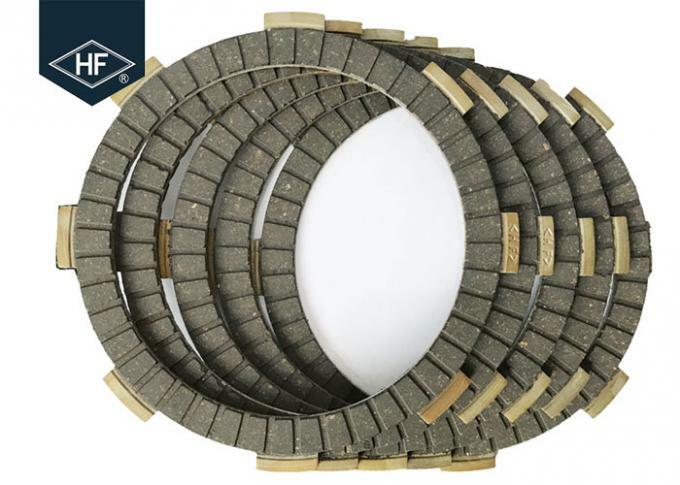 Re:A clutch slip occurs when the friction plates cannot engage completely, allowing the flywheel to spin at a different rate than the friction plates. 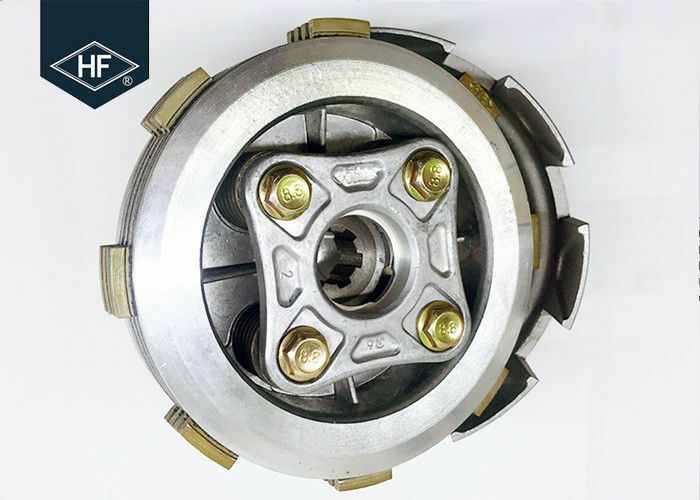 Clutch slippage is usually a result of improper adjustments or caused by wear or the bad quality of the clutch plate.